Leave saving the world to the men? I don't think so. 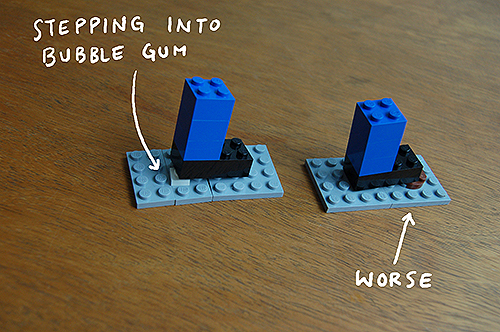 Christoph Niemann has a book out with his fabulous Lego creations of life in N.Y.C. — I LEGO N.Y. . You can see more here. If you're hipper than I am, you can go to the launch party in Brooklyn this weekend. Vinegar. Best way to eat BBQ.